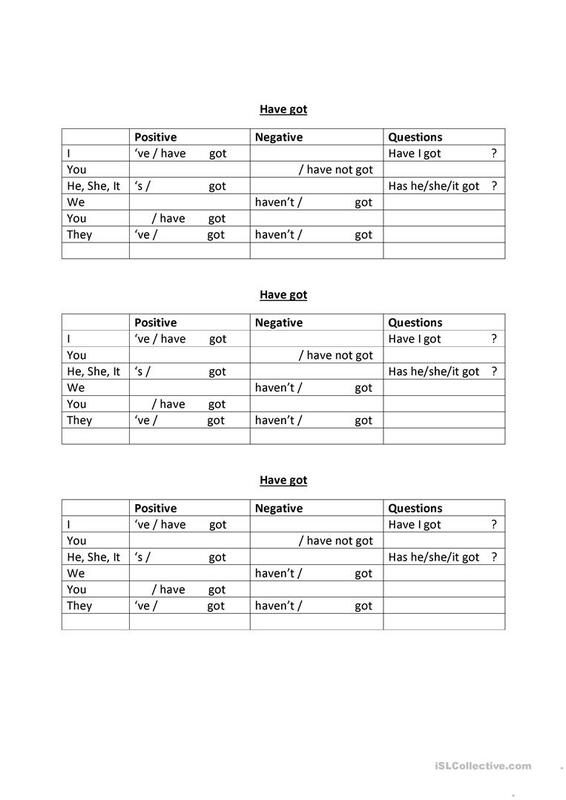 A grammer table with clues for students to fill out and keep as a reference. This downloadable teaching material is best suited for business/professional students, high school students, elementary school students, kindergartners and nursery school students and adults at Beginner (pre-A1) and Elementary (A1) level. It is aimed at revising HAVE GOT or HAS GOT in English, and is useful for improving your class' Speaking skills. Mo9t9 is from/lives in Kazakhstan and has been a member of iSLCollective since 2012-11-28 07:42:31. Mo9t9 last logged in on 2019-01-06 13:58:39, and has shared 1 resources on iSLCollective so far.